I think I'm finally getting the hang of 2013. For some reason, it always takes me a while to get used to the new year. I guess the nature of Janus, the ancient mythological Roman god of beginnings and transitions and the basis for the name of the month of January, has a particular effect on me. Like the image of Janus with his face simultaneously pointed in two directions, it's both a time to look back over the year past and then ahead to what might come. But as we move along into February, we know for certain we can anticipate lots of chocolate and hopefully the appearance of supremely delicious blood oranges. There's something about fresh pineapple that is especially welcome during the winter months. I love the bracing acidity and tartness and the beaming bright shock of yellow. This dessert ties all these threads together in a pudding cake, which is the kind of dessert that separates into a layer of cake and a little layer of sauce at the bottom. Coconut and lemon also tag along for more texture and taste, a slight nod to the tropics. I saute the pineapple in a little bit of butter to caramelize and expand the flavor. Otherwise, it's a pretty simple process to produce and it's good served warm or at room temperature. 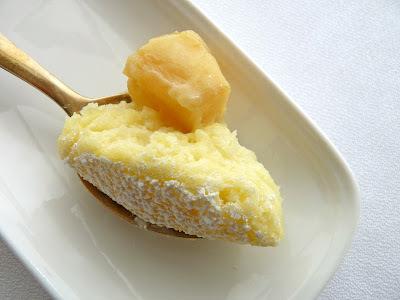 - If your pineapple is super tart, sprinkle lightly with sugar as you saute in butter. - For the bain marie, I used two smaller roasting pans instead of one large one, which makes it much easier to manage when removing from the oven. - The water for the bain marie should be hot. If your tap water isn't hot enough, when you begin your preparation for this dessert, bring a pot of water to a simmer, take off the heat, cover and set aside until you're ready to bake. 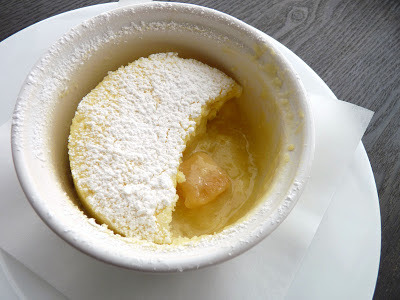 - I think this would also be good with fresh berries in the bottom of the ramekin in place of the sauteed pineapple. Preheat oven to 350 degrees. Lightly grease six 6-oz ramekins. Chop the pineapple into bite-sized pieces and place in a pan with the butter. Saute over medium heat for about 5 - 7 minutes or until the fruit begins to caramelize. Distribute the pineapple equally among the six ramekins. Whisk all but 2 tablespoons of sugar with the flour and salt. In another bowl, whisk the milk, coconut, lemon juice, zest and egg yolks until thoroughly combined. Blend in the melted butter. Add the flour mixture and whisk until smooth. The batter will be very thin and may look slightly curdled. Beat the egg whites with the remaining 2 tablespoons of sugar until stiff glossy peaks form. Gently fold the egg whites into the coconut lemon mixture one-third at a time. Pour the batter into the prepared ramekins and place them in a large roasting pan or two smaller roasting pans. Pour in enough hot water to reach halfway up the sides of the ramekins. Bake the pudding cakes for about 25 minutes or until they are puffed up but firm to the touch and slightly golden on top. Carefully remove from oven and transfer ramekins to a wire rack. 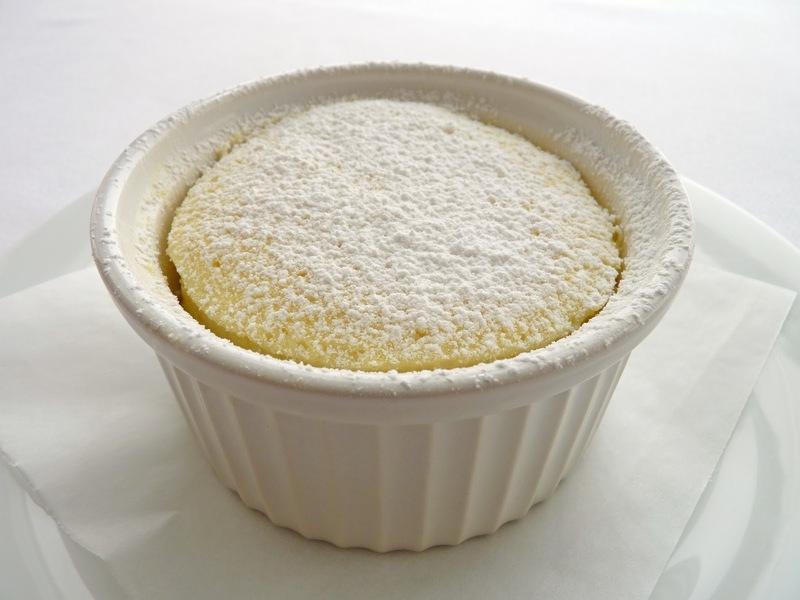 Dust with powdered sugar and serve warm or at room temperature. This is a riff on an all-American composition from Bill Yosses. 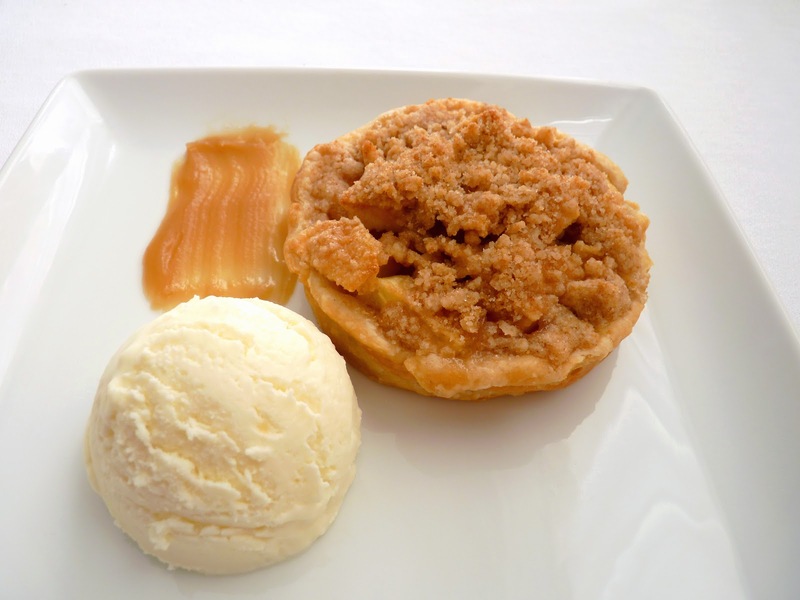 The three elements of apple pie, a tart ice cream and a garnish of maple caramel turn out to be a very harmonious pairing. 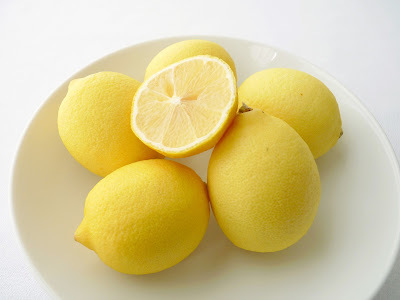 I mentioned in my last post that I always have lemons available in my kitchen and I feel the same way about apples. Apple desserts are among my favorite and who doesn't love apple pie? 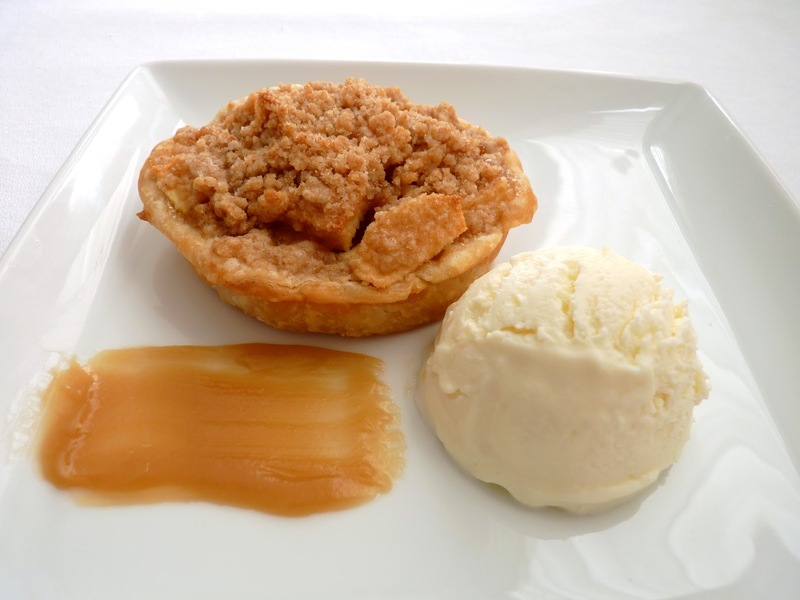 This one is topped with a cinnamon streusel like the American version of Dutch Apple Pie. 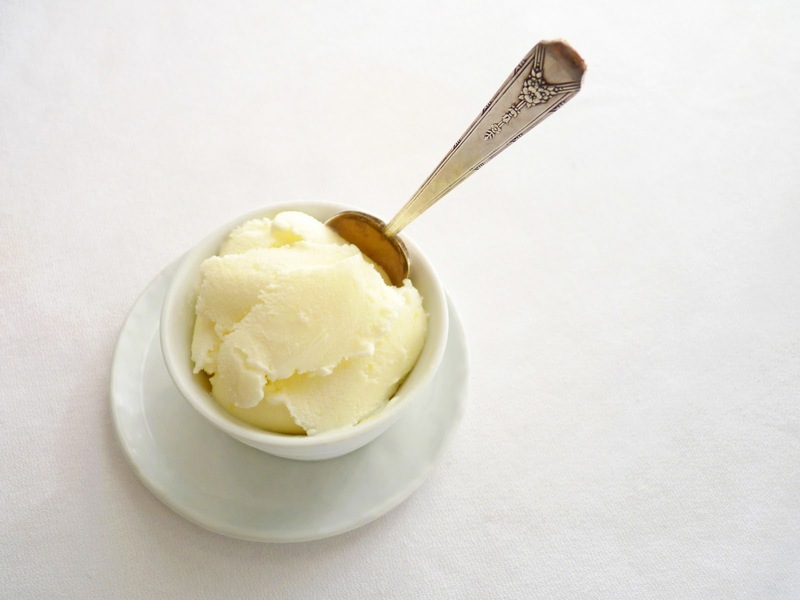 The Sour Cream Ice Cream adds that creamy and luxurious mouthfeel and a nice tart contrast to the sweet notes. 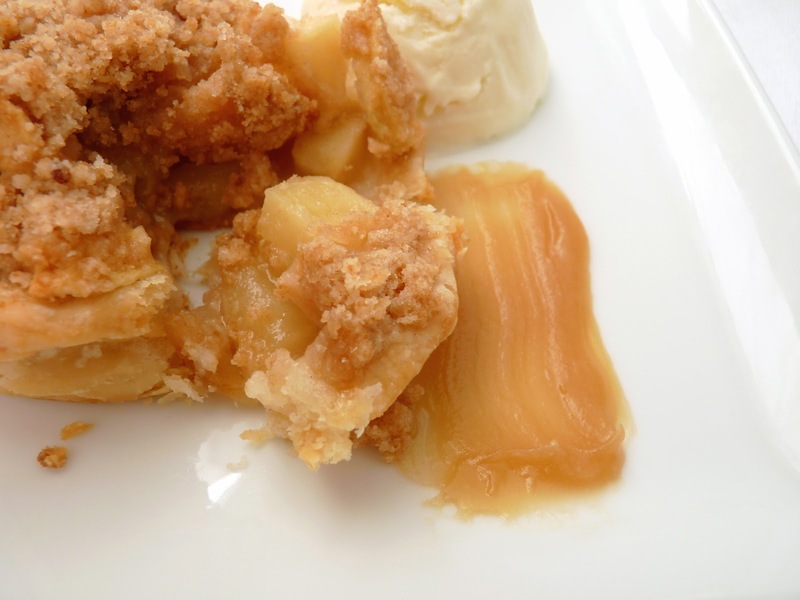 The Maple Caramel is a layer of buttery maple gooeyness with a hint of salt. It's a good old fashioned American festival on a plate. This is Yosses' wonderful concept but I altered the recipes a bit for easier home production and a bit less richness. I use a simple butter dough that can be made in a food processor and eliminated the eggs from the ice cream. I also thought the maple caramel sauce was too sweet, so I reduced the brown sugar and added some vanilla and a slight splash of brandy, just for fun. This does take some preparation but each component is very simple, takes just a few minutes for each and can be staged over a few days to make assembly fairly easy. This is a super delightful way to enjoy apples, ice cream and caramel! On another note, I keep forgetting to say I've joined twitter and Pinterest. If you're there as well, please let me know how to find you so I can follow you. Thanks! - To stage this out over 2 - 3 days, make the ice cream and store in your freezer. Make the streusel and store in an airtight container in your refrigerator for up to 2 days ahead. Prepare the pastry dough the morning you expect to bake or the night before. Prepare the apples and caramel just before baking. - I used Fuji apples. Since apples bake down a bit, mound them slightly as you place them in the pie shells. 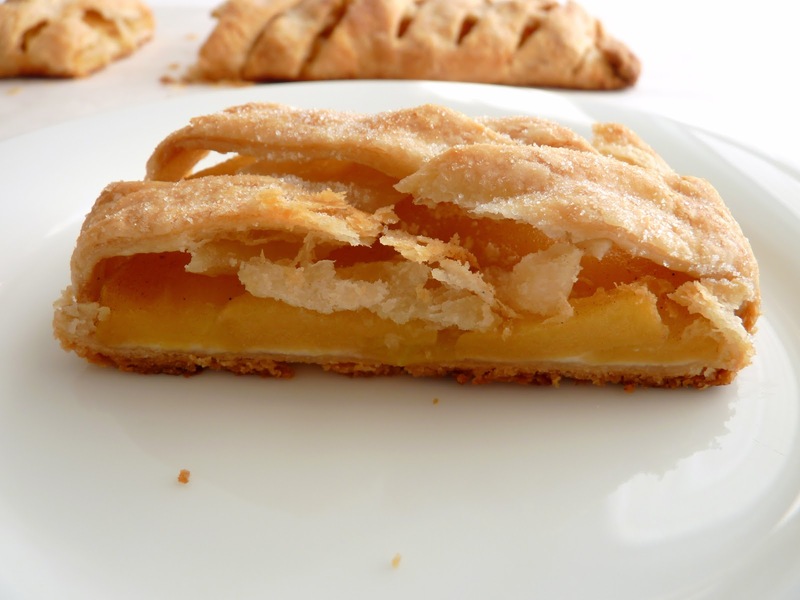 - If you prefer, make the pie in a regular pie dish or tart pan rather than individuals. You'll want to use more apples (probably twice the amount here) and would need to increase the baking time. - I eliminated the egg yolks, added more sugar (about 2/3 cup total) and about 1/8 teaspoon salt to Yosses' ice cream. If you don't have a vanilla bean, add 1/2 teaspoon of vanilla extract or do as I did and leave it out entirely. So the idea here is to taste as you whisk it together and adjust to your own preferences on all these dimensions. If you prefer to make Yosses' custard style recipe, he uses 4 yolks and cooks it using the usual method. The sour cream is added last to the cooked custard. 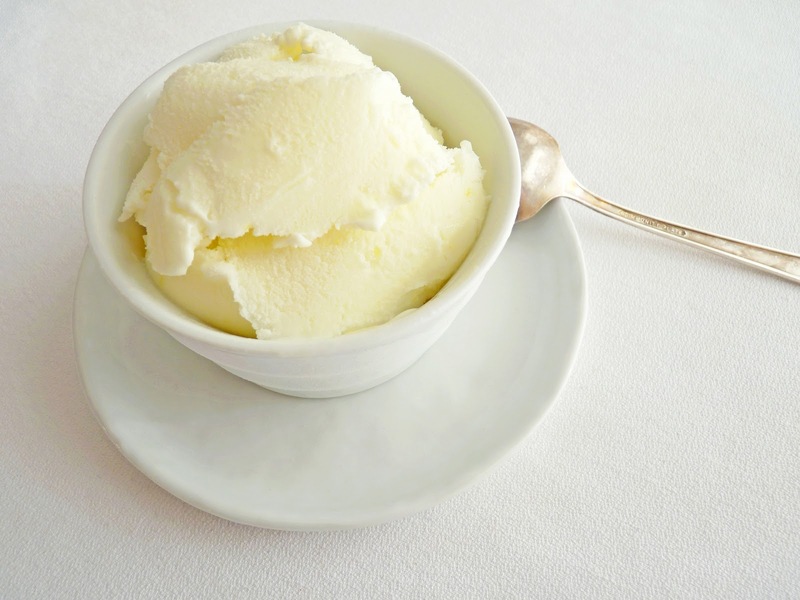 - Substitute your favorite vanilla ice cream if you don't have an ice cream maker. - Yosses plates this dessert with a small nibble of honeycomb and 2 cheeses: Toma Celena, an Alpine-style rich and nutty hard cheese, and Colby, a soft and mild cheese. Both are made from cow's milk. For the ice cream, whisk together the sour cream, half-and-half, sugar and seeds scraped from the vanilla bean (if using). Add salt, to taste. Pour into an airtight container and refrigerate until thoroughly chilled. Churn according to your machine's instructions. Pour into an airtight container, press a piece of plastic wrap into the surface, cover and place in your freezer to firm up. For the streusel, whisk together the flour, sugars, cinnamon and salt. Cut the cold butter into small pieces and add to the dry ingredients. Toss the mixture, coating the butter with flour. Rub the mixture together with your fingers until the butter is roughly worked into the dry ingredients, pinching it here and there until it collects into clumps and resembles coarse crumbles. Chill until ready to use. For the pie dough, place the flour, sugar and salt in the bowl of a food processor and process until combined. Cut the cold butter into 1/2" pieces and add to the flour mixture. Pulse until it looks like very coarse meal with small bits of butter that are about 1/8" - 1/4". Add the cold water and pulse just until the dough starts to clump. It will look a bit like small curd cottage cheese. Do not overmix. Remove the dough, shape into a flat disc and wrap in a piece of plastic. Chill for at least an hour. Place six 3 1/2" ring molds or tartlet pans on a baking sheet lined with parchment or a silpat. Remove the dough from the refrigerator and place on a lightly floured piece of parchment or work surface. Let it sit for a couple of minutes to take the chill off. Lightly dust the surface of the dough with flour and roll out to about an 1/8" thickness, keeping the work surface and dough lightly floured as needed. Cut the dough into 6 equal pieces. Lift each piece into the ring molds or tartlet pans and gently shape to fit closely into all the contours of the pan. Chill the pie shells until ready to use. For the Maple Caramel, melt the butter in a saucepan over medium heat. Add brown sugar and whisk to combine. Cook, whisking constantly, until sugar is completely dissolved. Bring to a boil for two minutes. Add maple syrup and boil another two minutes, whisking constantly. Remove from heat and pour into a small bowl. Add vanilla, brandy (if using) and salt, to taste. Set aside. Peel and core apples. Cut into 1/4" slices and then cut crosswise into 1/2" pieces. Place in a bowl and toss with the sugar, flour and cinnamon. Add the lemon juice and toss to coat. Nestle the apples into the pie shells until they are slightly mounded. Top each pie with streusel. Place the pies on the baking sheet in the oven and bake for 35 - 40 minutes or until the fruit juices are bubbling and the pastry has slightly browned. 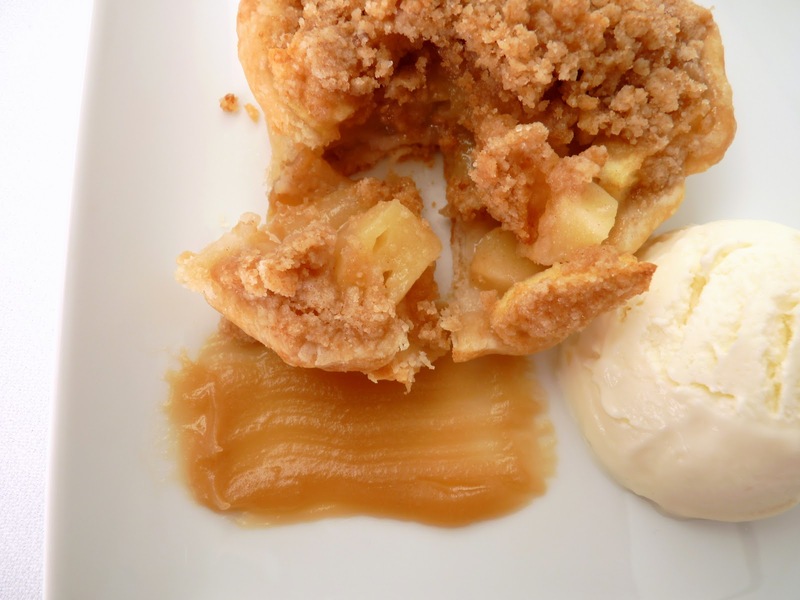 Serve warm or at room temperature with a scoop of ice cream and a drizzle of maple caramel. As much as I love testing all kinds of new recipes, it seems the pastries that are consistently favored most at the table are those that are the simplest compositions based on buttery pastry dough. Whether they are pies, galettes or flaky Eastern European pastries, they are inevitably scooped up and consumed with unbridled enjoyment. 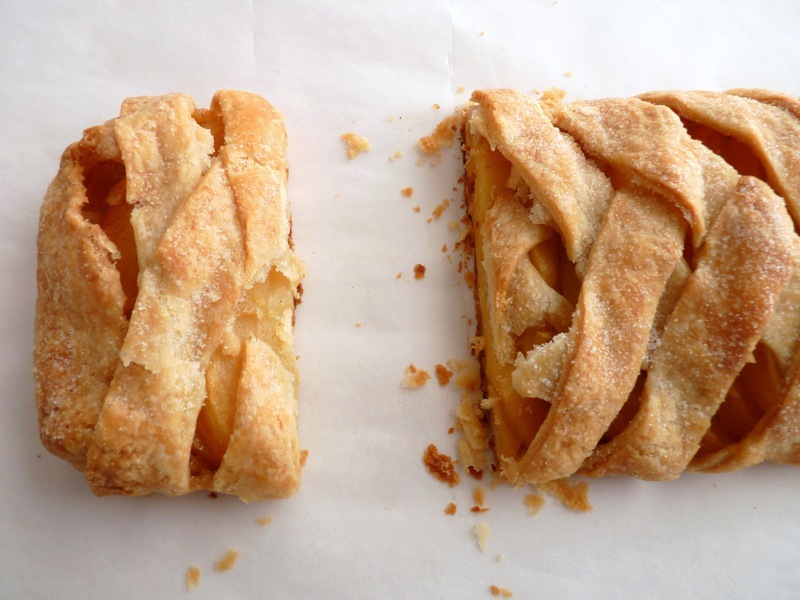 This apple galette is one such pastry. It begins with a very delicious and easy dough. I love the way it shatters into crispy shards when you bite into it. The simple mixture is from Jacques Pepin and is an iteration of what was called "crunch dough" at Chez Panisse and other area professional kitchens. I have taken to making it in a food processor and if you're careful not to overmix, it comes out beautifully. The apples are sauteed in butter and sugar with a spritz of lemon juice and a slight pinch of cinnamon. Since I had a bit of cream cheese left over from some holiday experiments, I added a thin cream layer underneath the apples. It's just enough to round out the flavors and textures. I used the technique of a Danish braid for a different presentation and a more pastry-to-fruit ratio. A Happy New Year to all the wonderful readers of Pastry Studio. Lots of great pastries and desserts in the year ahead!! - Make sure the butter and water for the pastry dough are very cold, which is what makes the pastry flaky. - I used Fuji apples, which are quite sweet. If you use different apples, add sugar, to taste. - I searched for an illustration for how to achieve the Danish braid lattice effect and found this pretty good one. Scroll all the way to the bottom. For the pastry dough, place the flour, sugar and salt in the bowl of a food processor and process to combine. Cut the cold butter into 1/2" pieces, add to the flour mixture and process for 5 seconds. Add the cold water and pulse about 15 times. The dough will look a bit lumpy, like cottage cheese. Gather the dough and place on a piece of plastic wrap. Shape into a flattened rectangle and wrap. Chill the dough at least 30 minutes or overnight. 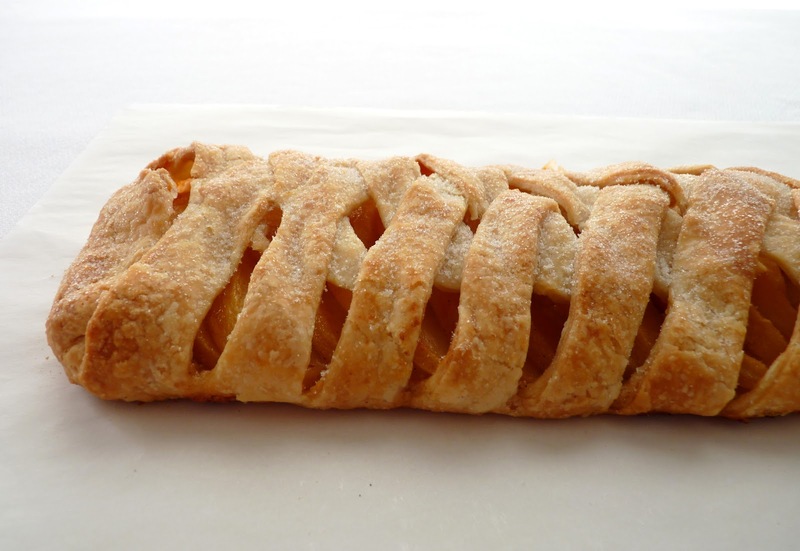 For the apple filling, peel, core and cut the apples into 1/4" slices. Melt the butter in a skillet over medium heat. Add the apple slices, sugar, lemon juice and a slight pinch of cinnamon and toss well to combine. Cook, stirring occasionally, until most of the liquid has evaporated and the apples are tender, about 15 minutes. Set aside to cool. To make the cream filling, combine the softened cream cheese, sugar, lemon juice and a few grains of salt until smooth. Set aside. Remove the dough from the refrigerator and rest on lightly floured parchment paper. Let it sit for a few minutes to soften enough to be able to roll it out without cracking. Roll the dough out to a 14" x 11" rectangle, gently lifting and moving the dough after each roll and lightly flouring as needed to prevent sticking. When you have the desired shape, brush off excess flour and lift the pastry along with the parchment paper onto a baking sheet. Spread the cream cheese filling down the middle third of the dough with the shorter 11" end at left to right. Layer the cooled apples over the top of the cream cheese mixture. Using a sharp knife, cut the outer thirds of dough on each side into 3/4" strips at about a 45 degree angle to the filling. Starting at the top, fold over the top piece of dough onto the filling and then, alternating sides, fold the strips of dough over the filling, crisscrossing over the center, until the entire surface is braided and the bottom piece of dough is tucked in over the filling. Brush the surface with melted butter and dust with a light sprinkling of sugar. Bake the galette until the dough is crisp and browned, 35 - 40 minutes. Place on a wire rack to cool.